The Nokia Lumia 800 has been a hot seller in Norway since it was launched there last month. As we recently told you, the Windows Phone flavored device was number 4 on the top ten handset sales chart for Netcom, a Norwegian carrier. According to Fredrik Gørrissen, Director of Telecommunications and Mobile at Microsoft Norway, the market share of the smartphone has been outstanding. Gørrissen says that at the country's largest electrical retailer, Elkjøp, the Nokia Lumia 800 is the second best selling handset throughout the 264 store chain. Elkjøp's top ten chart carries a lot of weight in the country as most Norwegian phone buyers purchase their handsets without a contract. One of the features that is bringing buyers to the device is the growing number of apps available for it. Gørrissen says that there are now 400 Norwegian apps and that number will only grow with the launch of the low priced Nokia Lumia 610. Worldwide there are over 65,000 apps available on the Windows Phone Marketplace. The Nokia Lumia 610 is expected to cost just 189 EUR ($249 USD) unlocked when it goes on sale within the next 2 quarters. 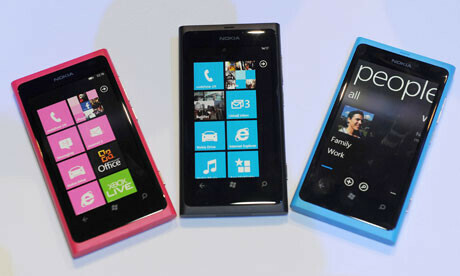 As for the Nokia Lumia 800, Gørrissen says that there are still more dealers left in the country to push the phone on before the potential is all gone. Nokia is still popular in Finland but not so much anymore in other Scandinavian countries, Sweden in particular. But according to a recent article I read elsewhere, Nokia is regaining back popularity in Sweden with its Lumia line of phones. How comes nokia selling 100 phones in countries with 10000 population becomes a matter of celebration for phonearena? Well, Norway has a population of 5 million and it has the highest standard of living in the world (1st in the Human Development Index top), so maybe it is more relevant than you might think.